Let’s face it, the roof contributes a whole lot to the overall exterior look of your house. In fact, the roof has to be of impeccable form if you want your house to look outstandingly elegant. More often than not, you might have to clear debris and residue on your own. This do it yourself roof cleaning guide is the most comprehensive. i. Algae- causes green or black stains on the roof. ii. Trees nearby the house, litter leaves and branches on the roof forming brown, grey and black stains. iii. Smoke emitted from chimneys also form stain on the roof around the chimney area. iv. Lichens growing on the surfaces ofbuildings. v. Growth of mold or fungus on the surface of the roof. Existence of the above stains on the roof diminishes the aesthetic quality of the house. Needless to say, some of the stains might be highly risky to the household members’ health. Therefore, there is urgency in getting rid of the stains. Most victims are rarely aware of presence of the stains or some ignore the situation because they think it is not dangerous or costly to eradicate. What these people do not know is how easy it is to remove the stains without high cost. A technician do not even need to be involved as the affected house members can do it themselves. The first step is to determine the type of stain and its cause. After that, it is an easy process all the way. All the while, stain can come about if algae, lichens, fungi and mold start accumulating on the roof. Stains caused by algae can be cleaned by the regular scrubbing, but, the stains normally come back after sometime. Although, an occasional cleaning does not harm the roof, constant use of harsh chemicals, can damage or reduce the life span of asphalt shingles. There are several cleaning agents in the market designed specifically for removing algae stains from roofs, such as Wet & Forget Outdoor. A compound of trisodium phosphate (TSP), water and bleach is also a good stain removal agent. Safety is an important factor to be highly considered during this task. It is not advisable to operate when the roof is wet. Also the cleaner should be careful not to trip while moving on the roof, and be counter checking before making every step since there might be areas that are or weak to support the weight of the cleaner. To prevent algae from coming back right after you have cleaned the house, install a sheet of metal coated with a strip of zincor copper on each side of the roof below the ridge. Although copper is more harmful to algae, a galvanized of sheet metal normally costs much less. Recently, roofing manufacturers have started mixing copper granules with the roofing products to form shingles resistant toalgae. 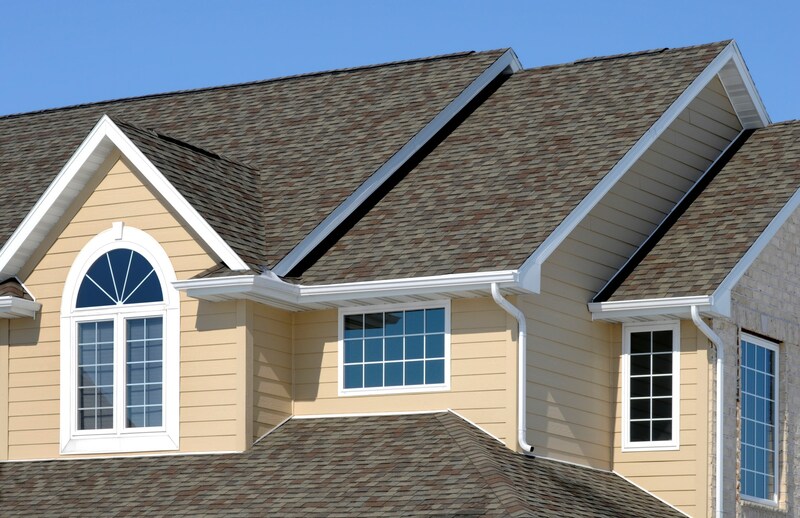 For people living in areas vulnerable to the growth of algae, when replacing their roofs are recommended to specify switching to this type of shingles. The methodology of eliminating and preventing algae on the roof can also be used for stains caused by moss. Smoke residue and corrosion have almost the same effect on the roof, especially aluminum roofing. They eat away your precious roofing and if left to continue, you might have to replace the whole roof. The good news is that smoke and corrosion can be easily cleared with a simple do it yourself roof cleaning exercise. Manufacturers do coat aluminum roofs with a thin layer of zinc to prevent or slow down corrosion. However, unfortunately a thin zinc coating is barely enough to keep away corrosion. In fact, the zinc coating contributes to the corrosion if debris such as steel, cedar or grime is left to accumulate on the roof. 1. Remove anything made of lead that is in contact with the roof. This may include copper pipes or coins or simply clear any debris on the roof first. 2. Depending on the extent of corrosion or smoke stain, pour vinegar on and around the affected areas, allowing the vinegar to sit for five to ten minutes. 4. Using good quality sand paper, scrub away the remaining corrosion or smoke stain. 5. Again use warm water to completely tidy up your work. 6. Wipe off water from the area with a rug and leave it to dry naturally. 7. Us industrial zinc-rich primer to coat the affected areas. Make sure you apply a generous amount if this is the first time you are conducting a do it yourself roof cleaning. If you are up for it, you might want to use oil-based paint (outdoor paint) to coat the whole roof. This will not only keep away corrosion, it will be easier in the future to wipe smoke and oil stains from the roof. Remember to take caution while on the land up above and have fun!